QOD City Coco Boom Shampoo performs gentle cleansing and nourishing, helping to improve the hair vitality and softness. Its ingredients boost the shine and protect against external damages such as wind, pollution and chemical processes. 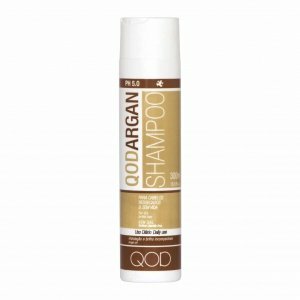 QOD Argan Hair Shampoo that is a powerful hair reconstructor with keratin and argan oil. It is made with a balanced pH level, and promotes a rich foam, treating hair completely with lustrous shine. Apply to wet hair, lather well and rinse thoroughly. Repeat if necessary. For best results, use QOD Argan hair conditioner. 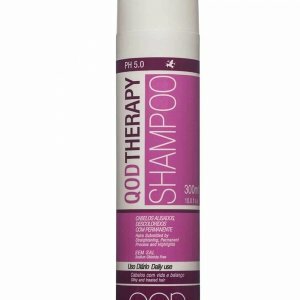 QOD Therapy Hair Shampoo was especially developed for hair submitted to straightening, colour and highlights. It contains light amino acids and silicas guaranteeing easy combing and maximum duration for your hair straightening process or permanent. Daily use. Apply to wet hair, lather well and rinse thoroughly. Repeat if necessary. For best results use QOD Therapy hair conditiner. 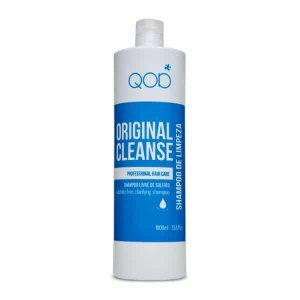 QOD Original Cleanse Hair Shampoo has been specially formulated to remove from the hair, day-today build up as well as residue left by styling products. After using QOD Original Cleanse the hair cuticle has a clean foundation in which the keratin can fuse to. This cleansing shampoo is therefore essential in preparing the hair for a professional keratin treatment. Suitable for all hair types including chemically treated hair. Apply on wet hair, lather well and rinse thoroughly. Repeat if necessary.